Snapdeal, one of India’s leading ecommerce retailers is keen to stay ahead of its rivals mainly Flipkart and Amazon by acquiring strategic online entities. Till date, 5 year old Snapdeal has made eight acquisitions and is willing to go ahead to acquire 10 or more companies, if found fit. Snapdeal’s latest acquisition of Freecharge, a mobile recharge portal, a $450 million cash and stock deal is considered to be the most expensive one in this industry. It has also acquired Rupee-Power, an ecommerce marketplace providing financial services for an undisclosed amount and a minority stake in the logistics firm GoJavas to strengthen its delivery network. Currently, Snapdeal is flushed with $1 billion funding it managed to click in 2014. 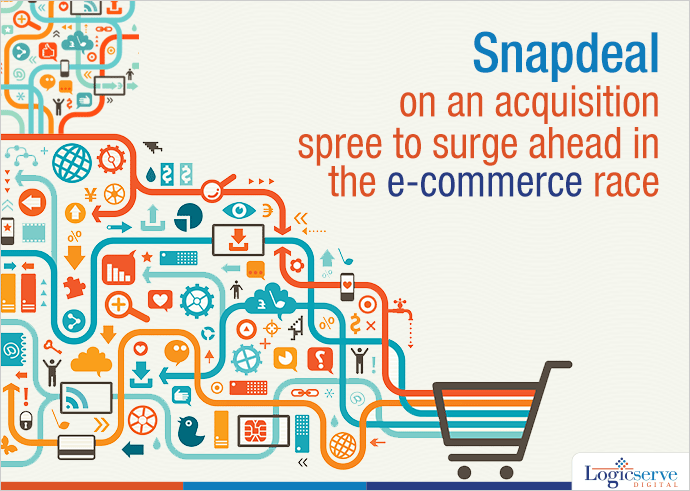 Snapdeal has stated that nearly 60% of its funds will be utilized for technological advancements and mergers. In a way, it is replicating the Alibaba Group model and trying to set up a similar ecommerce environment in India. Industry experts are of the view that for Snapdeal acquiring Freecharge related to turning around Snapdeal payment ecosystem especially of COD as customers could move on to using the prepaid channel for making payments. The magnitude of the merger relates to increase in Snapdeal’s customer bracket by adding additional 20 million Freecharge customers to its current customer count of 40 million registered users. As stated by Bahl, Snapdeal’s gross merchandise sales are likely to increase additionally by $1 billion post Freecharge acquisition. On the overall, Snapdeal will be equipped with better technical expertise which could impress and satisfy its users and customers. Meanwhile, Freecharge is undergoing a major revamp by hiring product managers and engineers in order to improvise the current online payment and mobile recharge set up. Weekend Digital Media Round-up: Google rolls out new features in AdWords, Facebook’s AR Studio, Twitter’s Breaking News module and more.. Weekend Digital Media Round-up: Google’s redesigned Assistant, Facebook’s ‘Premieres’ videos, Twitter’s In-Stream Video Ads and more..